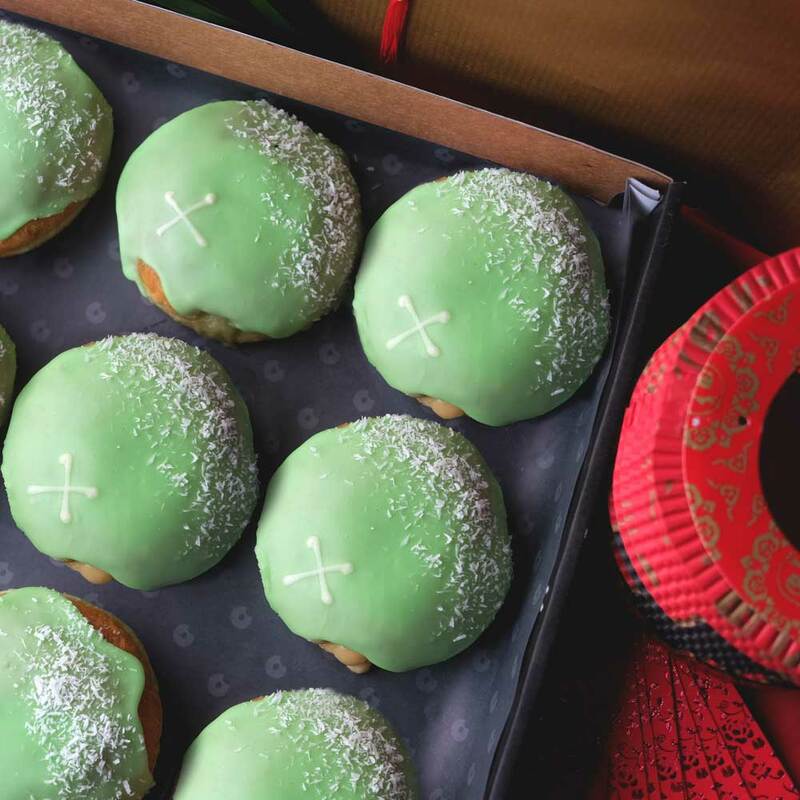 A box of 12 limited edition Pandan doughnuts. 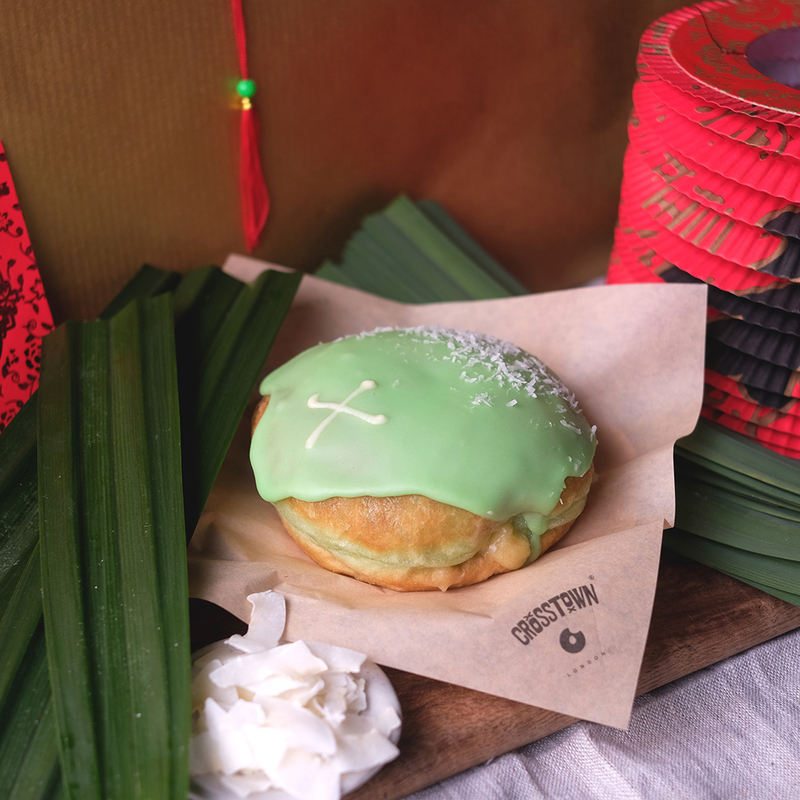 Pre-order for collection to receive a traditional red packet with a voucher for a free doughnut or coffee! Chinese New Year boxes are available in all locations & on-demand from 28th Jan – 14th Mar. Place a pre-order for guaranteed delivery or collection.